In AMD CPUs, CCX is an acronym used by AMD to refer to the Core Complex used in AMD’s Zen architecture based processors. 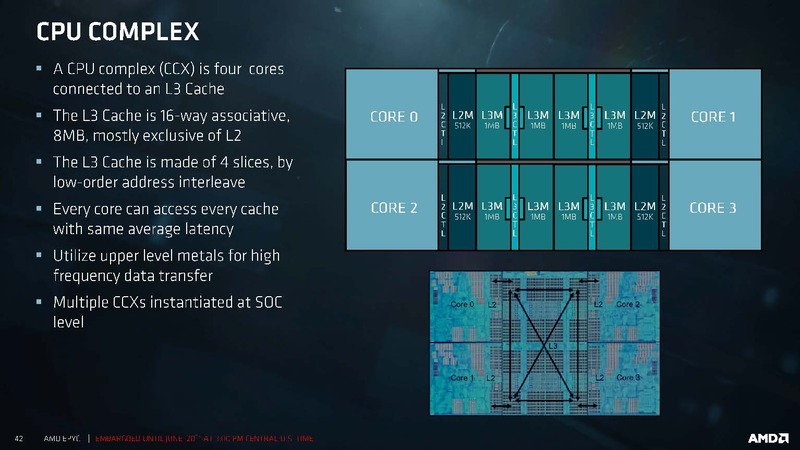 Each CCX is a modular unit which contains four Zen cores connected to a shared L3 cache. Multiple CCX are then connected together using AMD’s Infinity Fabric interconnect to then create processors. For example, AMD’s Ryzen 7 processors contain two CCX while AMD’s EPYC 7000 processors contain four CCX.